This topic contains 4 replies, has 2 voices, and was last updated by admin 1 year, 7 months ago. i forgot to add a few things in my field map, how do i edit a previously created field map? Large field maps do take a long time to load. 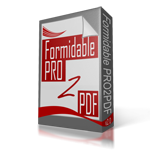 When the field maps load, the plugin re-scans all Formidable and PDF form fields for any changes. There is currently no way to speed up the loading of the field map layouts. However, we have created a new version of the plugin which will instantly load field map layouts. We expect to have the Alpha version by the end of October and the Beta version the first quarter of 2018.
when this new version comes out, will you notify me? will my current plan upgrade right into it and keep the field maps i have or will i need to rebuild them? whats the Alpha version? whats the beta version? Yes, we will notify all users when the new version is ready and all current user’s plans will work with the new version. Yes, it is our intent for the new version to work with existing field map layouts by converting them to the new version’s method. Alpha is an in-house testing version, beta is a user testing version. Both are prior to a final release. We will ask experienced users and fellow developers to help with the beta testing.